What could be more satisfying than a bowl of hot soup after a long hike on a cold day? Well, how about that hot soup while you are still on the mountain? 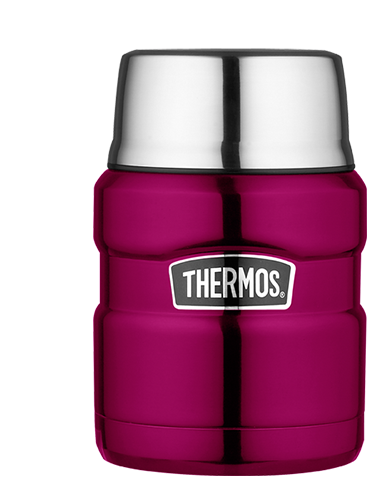 You can have that with the Thermos Vacuum Insulated Food Jar, and it even comes with a full-size spoon, folded right in the lid of the jar. With a stainless steel interior and exterior, this durable container has double wall vacuum insulation and can be used with hot or cold foods. It’s supposed to keep food hot up to 7 hours and cold up to 9 hours. We tested it on a crisp day, and after about a 5 hour hike, we opened the jar to a nice, steaming bowl of satisfying soup! Incredible!